. . .But the staple commodity of the country is sugar. That they have not, however, learnt the art of making palatable rum, the English troops in New South Wales can bear testimony; a large quantity, very ill flavoured, having been bought and shipped here for the use of the garrison of Port Jackson. It was in 1771 that St. Salvador, which had for more than a century been the capital of Brazil, ceased to be so; and that the seat of Government was removed to St. Sebastian. The change took place on account of the colonial war, at that time carried on by the Courts of Lisbon and Madrid. And, indeed, were the object of security alone to determine the seat of Government, I know but few places better situated in that respect than the one I am describing; the natural strength of the country, joined to the difficulties which would attend an attack on the fortifications, being such as to render it very formidable. 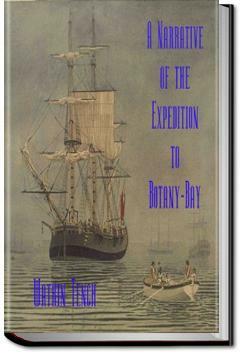 These old journals of voyages/expeditions from the 1700's are great to listen to. This was the boat that took the first batch of "criminals" to Australia (the American religious zealots left England by their own choice).